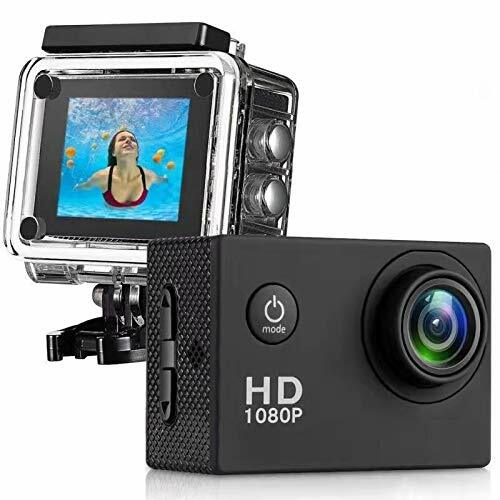 Pipo Wide Angle Lens Full HD Waterproof Action Camera — Deals from SaveaLoonie! 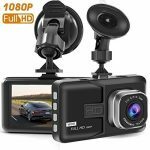 ❤ Full HD 1080P & 170° Ultra Wide Angle - Full HD 12 MP 1080P allows you to shoot high quality pictures and videos. 170° ultra wide angle captures more scenery from a wider field of view. ❤ 30m Waterproof Case - Equipped with a 30m waterproof case, enabling to take shots underwater up to 30meters, perfect for outdoor adventures and extreme sports, like surfing, diving , snorkeling and skiing. ❤ Supports 32GB microSD card - Supports microSD cards up to 32GB, which equates to 8 hours recording in 720p and 240mins in 1080p. We suggest using a certified class-10 or above microSD card with a storage capacity of at least 8GB and at most 32 GB. Please format the microSD on the action camera before use. Card not included.